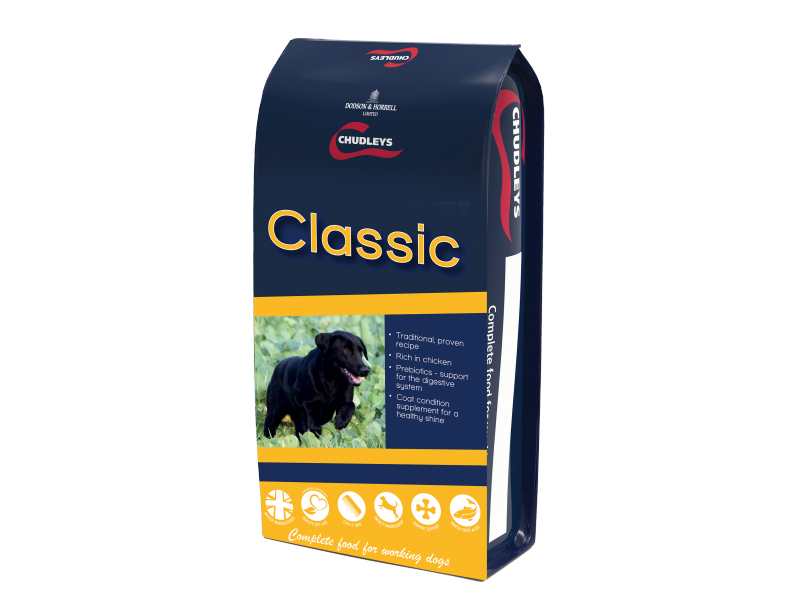 Chudleys Classic is a dry food for working dogs which is formulated specifically for dogs in light work, those that maintain weight easily or during rest periods. With as appetising aroma, these chicken rich nuggets help support weight maintenance and overall performance; especially energy, stamina and quick recovery after a busy day.. Wheat, Chicken meal, Maize, Chicken fat, Barley, Chicken liver, Rice, Unmolassed beet pulp, Yeast, Salmon oil, Salt, Potassium chloride, Seaweed, Yucca, Blackcurrant, Kale, Spinach, Beetroot, Rosemary, Rosehip & Pomegranate. There are currently no questions for Chudleys Classic Working Dog Food - be the first to ask one!